Whether you’re team pudding or team cake, this recipe has you covered. This is a pudding recipe baked like a cake and the addition of grated carrot ensures the cake isn’t dry. Pour the bread crumbs into a large mixing bowl. Add the milk and spices and let it all soak while you prepare the rest of the batter. Cream the butter and sugar until pale then add the eggs one at a time while beating. Add the flour and beat again until smooth. Pour the soaked bread crumbs into the mix and stir until smooth. Add the soaked fruit and grated carrots and slivered almonds and stir until you have a silky batter. 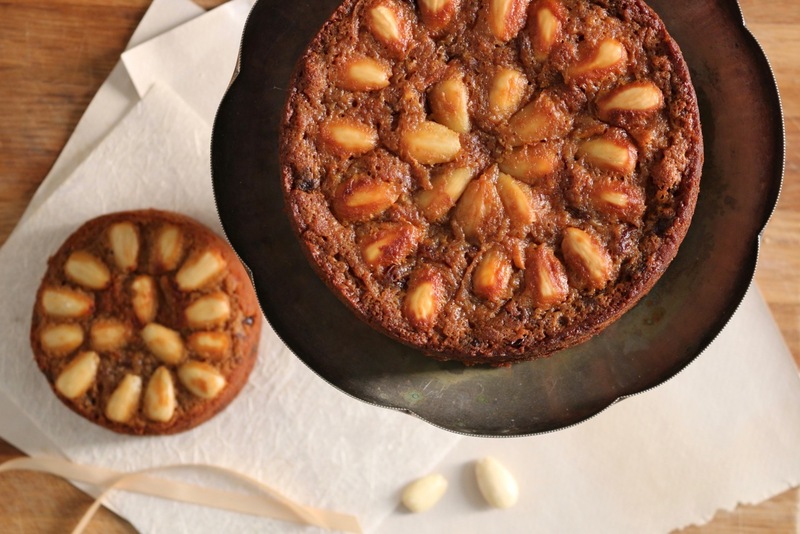 Pour the mixture into two greased lined 21cm cake tins, arrange the blanched almonds on top of both cakes. Cover the tins with foil and bake in a preheated oven for 2 hours. Take the cakes out, remove the foil and bake for a further 30 minutes or until golden. When the cake is fully cooked, a skewer will come out clean after piercing the cake.